Nest Hello is the first video doorbell from the Google brand and a great product with sharp images and easy to use software. 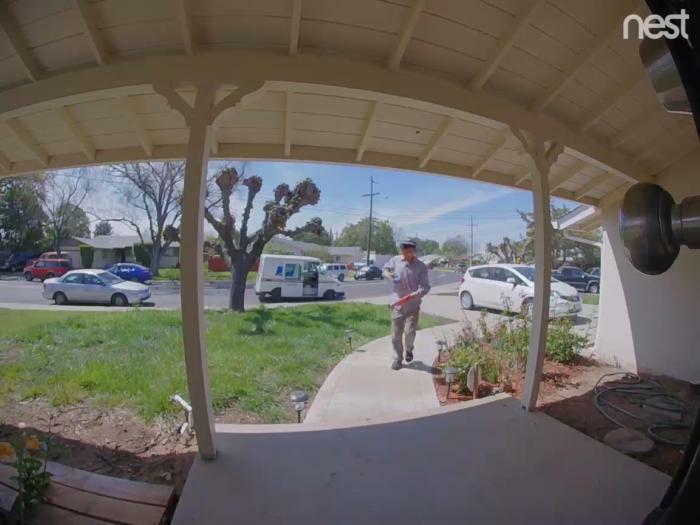 If you’re considering a video doorbell, the Nest Hello should be on your short list. It has great video quality, a solid app, and it operated flawlessly during my test. There’s slick integration with Google Home and Google Assistant, and a recently launched 5-day subscription plan for storing video in the cloud reduces one of the biggest hurdles to a Nest system: the ongoing running cost. It’s a worthy competitor to the Ring Video Doorbell 2, but the Nest Hello requires wiring so we still recommend the Ring if you need a battery-powered device. Nest Hello is a smart, good-looking doorbell that feels solid and well made. There’s a large button at the bottom and a matching clear plastic cover at the top in front of the camera. It needs wired power, so it will either replace an existing wired doorbell or you’ll need to install new wiring. Like other Nest devices, it constantly streams video to the cloud so you never miss a thing, even if the doorbell doesn’t alert you. The Nest Hello video doorbell will look attractive on your wall. In high-quality mode, the video from Nest Hello is about the best I’ve seen from a video doorbell. It’s a 1,600 by 1,200 pixel resolution image at 15 frames per second that was always sharp with well-balanced colors. It also coped well with direct sunlight. A Nest Hello image at high quality. At the medium- and low-quality settings, the resolution is stepped down to 1,152 by 864 pixels and 512 by 384 pixels respectively. So with lower resolution, why would anyone need lower quality? A Nest Hello image at low quality. It comes down to streaming bandwidth. 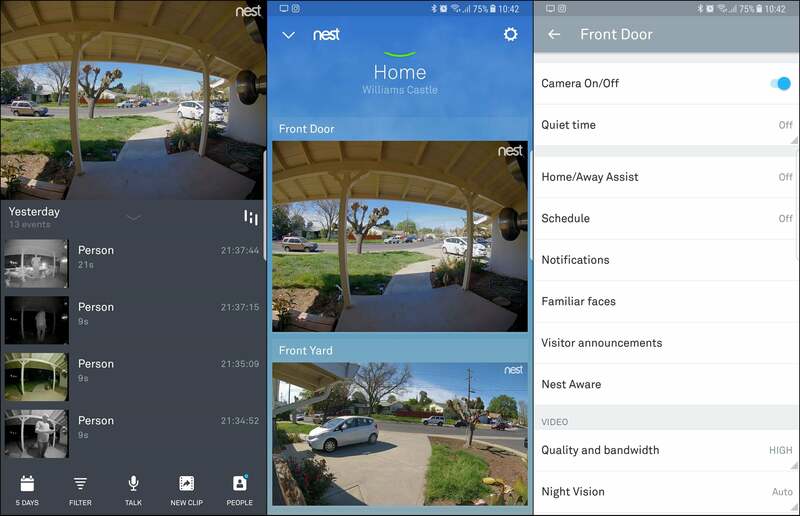 The Nest cameras, unlike many competitors, stream constantly to the cloud and everything is recorded. That means that with a subscription, you can review anything that’s happened even if Nest didn’t catch it as a movement alert. But the constant streaming eats up bandwidth. My router measured the low, medium, and high quality settings as 0.1Mbps, 0.3Mbps, and 0.4Mbps respectively. That’s less bandwidth than Nest’s security cameras consume, but you still need to consider the impact the doorbell and other Nest cameras will have on your home internet connection, especially if you have a bandwidth cap and might incur extra charges from your service provider. A daytime image from Nest Hello operating on medium quality. 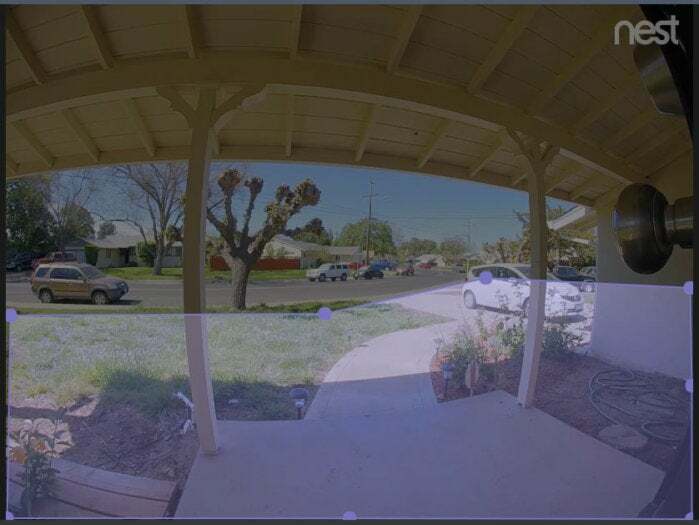 All of the video is at a 4:3 aspect ratio video, which is a departure from the widescreen image from other Nest cameras, but it makes sense on a doorstep where image height is more important than width. 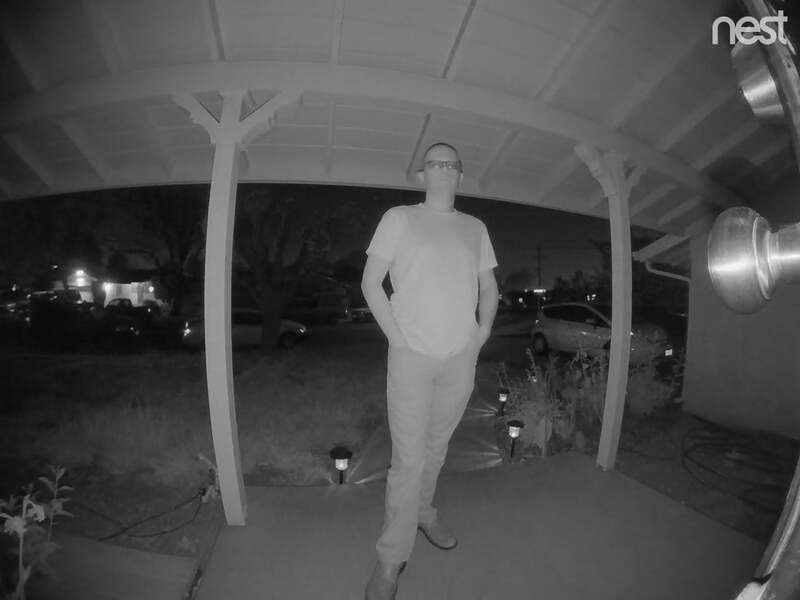 It has a night vision mode that’s grayscale, like its competitors, but the Nest Hello was the first I’ve tested that was sensitive enough to switch to daytime color mode when my porch floodlights came on. A nightvision view from Nest Hello operating on medium quality. 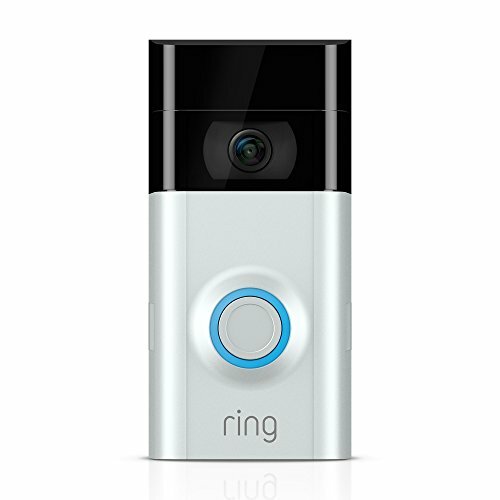 The doorbell can send alerts by push notification and email; you decide which or both. Those alerts can be when it detects a person, when it detects any motion, or when it detects a loud noise. If you’re getting too many alerts, you can set a detection zone: an area of the image in which detection is enabled. The rest of the video picture is ignored, although that only works through the web interface. Detection zones can’t be set in the app. Setting a detection zone in the Nest web interface. Nest is a Google brand, so it’s no surprise that the Hello integrates well with Google Home and Google Assistant. There’s a setting in the Nest app for visitor announcements. 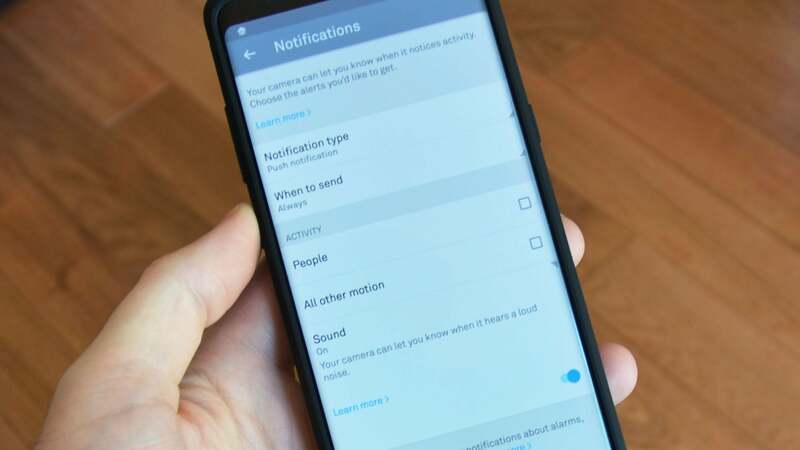 Switch it on and Google Assistant-enabled devices (except your phone) will announce when someone rings your doorbell. It’s a neat trick. And with a simple command—“Hey Google, stream the Front Door camera on the TV”—you can get live video on a Chromecast-enabled TV. But, it won’t integrate with Amazon’s Alexa or Apple Homekit, and so far there are no IFTTT applets published for Nest Hello. Hooking up the Nest Hello was simple and took less than five minutes. Nest recommends professional installation, but if you’re a little handy you can do it yourself. You’ll need existing doorbell wiring that can supply between 16- and 24 volts AC. It connects to the internet via Wi-Fi. The doorbell secures onto a metal mounting plate—a departure from the plastic plates used by most competitors—and there’s a 15-degree angle bracket to steer the doorbell towards your porch if needed. Once clipped in, it requires a small pin to unlock it from the mount. A tool is provided, much like the pins used to extract SIM cards from smartphones. The fiddliest part of the install was a “chime connector”—a mysterious circular device with wires coming out that had to be fitted to the chime inside the house. The connection isn’t difficult, but depending on the space available inside the chime box, getting the cover back on with the chime connector inside might require a bit of patience. Nest supplies most of the tools you’ll need, including a masonry drill bit, but you’ll need at least a screwdriver. The doorbell is IPx4 rated, so it should stand up to the rain and sprinklers. 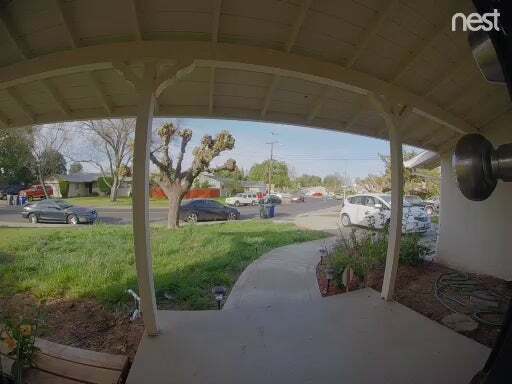 You can use the Nest Hello without a subscription to get live video anytime you want it and review still images of activity detected in the last three hours, but because three hours isn’t very far back, you’ll probably want to subscribe to Nest Aware. Nest Aware is available in three options: 5-day, 10-day and 1-month video history. They cost $5, $10, or $30 per month respectively ($50, 100, or $300 if paid annually). If you have other Nest cameras or plan to add them, you get a 50-percent discount after your first camera. 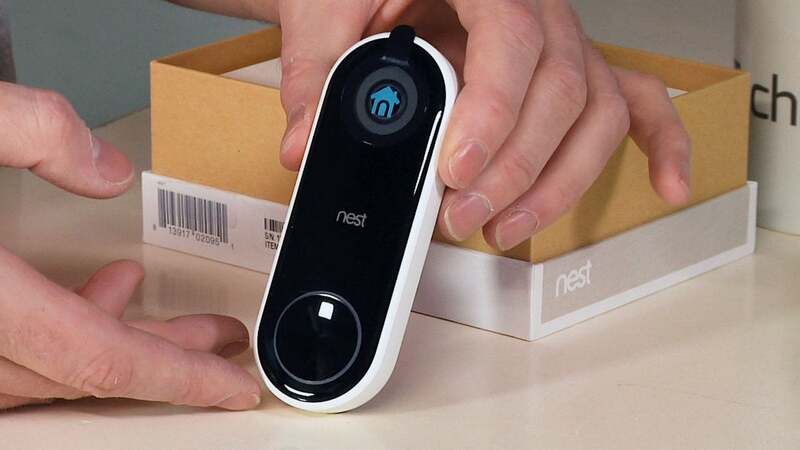 Nest Hello is a welcome addition to the Nest family of products and exhibits the same manufacturing, design, and technical quality as the rest of the range. At $229, it’s one of the more expensive video doorbells on the market, and the monthly subscription price is a bit more than competitors, too. But if you can afford it, you won’t be disappointed. The Nest Hello has set the standard for other video doorbells to match.